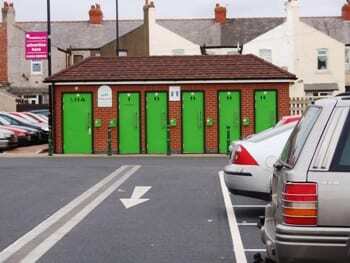 Visit Cleveleys has been contacted by Wyre Council regarding provision of public conveniences in the Cleveleys area. What do you think to Public loos? Not just in Cleveleys but also Thornton and the coastal areas of Wyre (Fleetwood, Over Wyre etc). Public toilets are currently managed by Danfo. They are individual cubicles, accessed with a 20p slot. Here in Cleveleys you can find them at the bus station, Rough Lea Road car park (pictured above) and at the seafront cafe, opposite Jubilee Gardens. 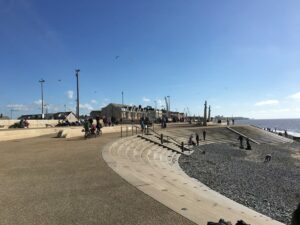 Wyre has been running a task group about the borough’s public conveniences and they have asked for your view, from the perspective of Cleveleys’ residents and community groups. 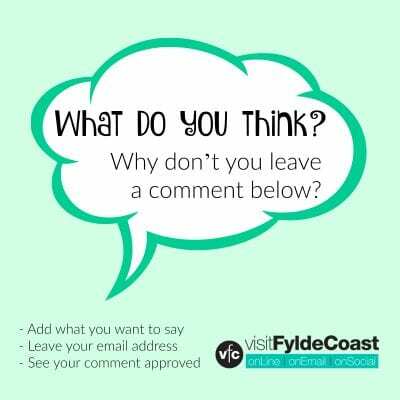 In very broad terms please add your comments below about the provision of public loos in the Cleveleys (and more generally coastal and Thornton) areas. Is provision of loos adequate? Are they well looked after? Is the 20p fee reasonable, bearing in mind that it had remained unchanged for 11 years. Would 30p be acceptable? What do you think to disabled facilities? And the use, or abuse, of radar keys. What about ‘Changing Places’ loos? Should consideration be given to approaching local cafes, pubs, stores, etc. to seek their agreement to make their toilets available to the public? Would there be support for this from both users and businesses, or reluctance?  Do you think there’s potential for advertising in or around public toilets? Are there any other improvements that you could suggest, that could be considered by the task group? Do you have any other comments? Please feel free to say whatever you think is relevant about the borough’s loos. We’d appreciate it if you could post your comment on this page. That way all of your responses are kept together and all of your comments can be taken on board by the task group. If you debate this subject on social media your points may be missed and therefore not be taken into account. Just complete the comment box at the bottom of this article, comments will be approved before publication. If your comment is of a more personal nature and you don’t wish to post it online, please email to jane@theRabbitPatch.co.uk and we will forward it to the task group. Trivial as it might seem to some, public toilets is an important issue for many. It can make the difference between a destination being popular or not. Cleveleys Coastal Community Team would like to see as many good, clean facilities in the town as possible. 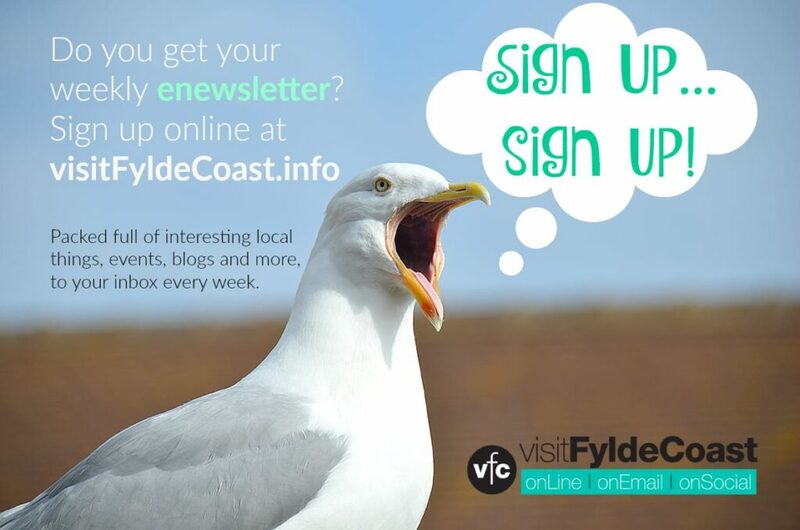 Regular readers of Chrissie Blogger, Visit Fylde Coasts resident writer, will know that public toilets is a subject for frequent discussion. You won’t be surprised to know that Chrissie wrote about the subject of public toilets, at this link. Definitely need a changing places, only option is to change our disabled boy on the floor of the disabled toilet. And it’s always filthy like it hasn’t been cleaned in days. What’s needed is a ‘changing places’ toilet in this area (Fleetwood, Cleveleys), there ar 4 in Blackpool and one in Poulton but none up here, there are 250,000 people in the UK who benefit from these toilets, if you need more info please check out the Changing Places website…. The charge is fine, people moan about 20p when they come out with wet clothes ect because the floor is soaking wet, I am disabled so do have a radar key, please dont change that system, it’s embarrassing having to “go to the bar” or “please ask in the cafe” to get a toilet key, plus it can take up to 10 minutes to get that key in busy times, time some disabilities don’t give you. The sale of Radar Keys on ebay and the like is the abuse of the system, anyone can purchase them and do, to save paying fees, if you have 2 or 3 kids on a day at the beach, with the need for changing facilities and the actual use of a toilet all at different times, you can easily rack up the cost of a radar key in just one day ! This is something you cannot prevent, however, punishing/embarrassing the genuine radar key holders is not the solution. It’s a long network of costal pathways, more facilities dotted along it will also be most welcome by residents who use the walkways on a regular basis aswell as the holiday makers. After all, theres nothing worse when walking your dog than getting the urge to go and realising your half an hour or more away from home ! My family and I are frequent visitors to Blackpool/Cleveleys and these toilets alone are a god send with an 8yr old It would be great to see a few more out nearer the beach/small funfair at the top of town. Whatever the outcome of this consultation better signage is needed. Since the closure of the conveniences near the tram track in Cleveleys visitors do not always know the location of those on the Rough Lea Road car park. At a certain age and with young children it is important to know the location of the public loos. They are 30p in Blackpool? Could there be some kind of annual payment for locals, like a radar key, cost me a fortune as I live in Bispham and do a lot of prom walking. Any news on Little Bispham loos opening yet? As ‘a woman of a certain age’ it is vital for me to have public loos every few meters! I’ve always found the public loos clean and accessible. I come from a time when using the loo was euphemistically called ‘spending a penny’ because that it was it cost. So 20p a go seems fair to me as 1p would be a bit cheap – although why anyone should pay for a pee is a mystery! As cafes are businesses, it also seems fair that only customers should use their facilities, unless they are free for disabled, parents needing to change babies’ nappies, or other ‘needy’ people. I use the public toilets in Cleveleys all the time when I am out for hours walking my dogs or shopping in Cleveleys. The cleanest ones are at the bus station around the corner from the disable toilet which is well used. I honestly could not manage without them and always have 20p pieces in my coat pocket. I do think 30p is fair as the toilets ard all cleaned twice a day and soap hot water and paper are provided. It really depends on how important being able to use a toilet when uou need to I’d yo you. We definitely need more public toilets in the area and a dedicated changing room, or two, would be wonderful. I visit Blackpool/Cleveleys regularly. We Iove shopping/wondering around, but especialy a cuppa n some people watching. We often need a loo before we can carry on after our cuppa. So public loo’s would realy help the visitors, as well as the locals. Too many public loo’s have been closed over the past years. I, for one would appreciate more being available to us visitors. I don’t visit as often as i would like, as toilets are few and far between. The ones on your Bus station were terrible. I’m Disabled so having to walk far to find a toilet isant good. I always have something to eat in Cleveleys Kitchen , so i can use their toilet. I recently experienced using a public loo abroad where they had an attendant in charge. It was 1 euro to use which was expensive but it was well serviced, undesirables were kept at bay due to the fact there was a person present and when it was quiet he went in and kept them clean. At 30p a go if they are planning to build more could they take this into account? surely this would employ someone also? 20p is more than enough to pee. I have used the toilets at Cleveleys Rosall Road. I found the toilet in a filthy state, so much so I shorten my shopping trip to rush home to use my own loo. It needs someone to be on site to check the toilets frequently . I can never use these toilets they are disgusting I pity any day trippers who need to use these., Coral Island in Blackpool have an attendant looking after the free to use toilets , so why do we have to pay to use unclean toilets here in Cleveleys, it lowers the standard of the town.